On the doss from work but avoiding housework too? Get the low down on where to go when you’re on the down low. When it comes to mitching work what better companions to have for the day than the literary genius of Joyce, Wilde or Roddy Doyle? 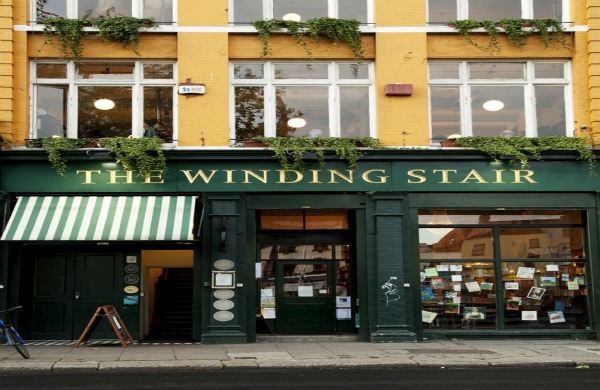 The Winding Stair is one of the oldest independent bookshops in Dublin city with an extension of a highly rated restaurant overhead. This second hand bookshop/café is a treasure trove of notable tomes and a must for those wanting to lose themselves in a good book for a few hours. There are tables by the window where you can sip teas/coffees or wines but be sure to wear shades or just practice your best coughing fit in case you’re caught. Nestled inconspicuously right beside the Gaiety Theatre, The Buff Day Spa is the place to go when you’re in need of a little R&R on the DL. With luxurious spa packages for as little as €79 you can be cosseted in this city centre oasis for as long as 4.5 hours. Bliss. And hey, if you are spotted by a colleague on the way home, your blissed out demeanour will be enough to have them believe you’ve been medicated for your ‘illness’. Fool proof plans FTW. The popularity of the Odeon over other Dublin cinemas for workers on the doss is clear. Located in the all but deserted Point Village, the Luas will bring you to within spitting distance of the doors, so no running into office spies while navigating the city centre. If you’re driving, ask for your ticket to be validated for reduced costs. Weekday tickets are just €6 or €5 on a Wednesday, that’s 2+ hours of entertainment in the dark for sheckles. Bargain. The addition of a well hidden Costa Coffee on the first floor means that once you’re movie perusal is done you can enjoy a decent cup of joe with free Wi-Fi but, whatever you do, turn OFF ‘GPS’ services - we know that, right? Get inspiration for more things to do in Dublin when you’re dodging work.